← Socks – Pair #??? 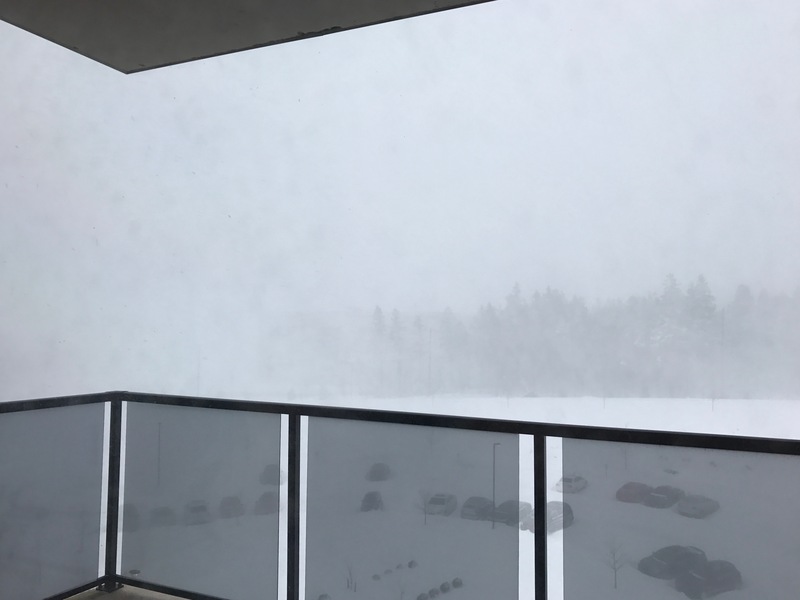 We’re in the middle of a full blown blizzard – heavy blowing snow, so heavy that all I see from my windows is white. This weather is expected to last into tomorrow morning – there are actually two storms which have converged and are moving slowly across the region. I’m SO glad I made it home from Toronto last night because had I not managed to catch a flight yesterday in that narrow window of storm in Toronto (preventing take-off) and storm in Halifax (preventing landing) I’d be stuck in Toronto until at least Wednesday! So this is a day to lay low and read, make soup, do laundry, and sew or knit or watch movies. Doesn’t matter what, just to snuggle up warmly and be a vegetable. Fingers crossed power will stay on. Did you dig out yet? I didn’t ever see the news on how much snow you got. I’m in an apartment now so the digging out I was able to leave to others! That’s great. Be careful out there! White out there is coming our way tomorrow, too. Power will be an issue if the winds are high. What were ya doing in TO? Visiting family😇?